However, not every business will attract goodwill. 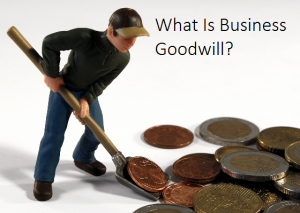 Even though the factors above may benefit the business, and lead to a well run profitable enterprise, in the majority of cases, unless the business in question can demonstrate healthy profits, it is doubtful any goodwill will be attributed to the business. In the above example the valuation for this business may have been derived using the ratio of a 40% return on a business making a net profit of $200,000. In this instance, there would be no goodwill as the plant and equipment and inventory total more than the valuation price. ← How To Value A Business.